Boyz II Men is an American R&B/soul singing group from Philadelphia, Pennsylvania. 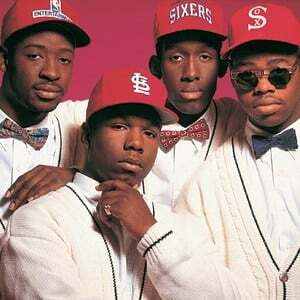 Founded in 1988 as a quintet, Boyz II Men found fame as a quartet, with members Wanya Morris, Michael McCary, Shawn Stockman, and Nathan Morris, on Motown Records during the early 1990s. Based on sales, Boyz II Men is one of the most successful R&B groups of all time, having recorded five #1 pop hits between 1992 and 1997. They have since topped sales of 25 million records.